Place hazelnuts in the Boss and process on CHOP for 1 min until they become a fine nut meal. Use the scraper to push nuts into the blade if necessary. Add remaining ingredients and process for a further 90 seconds on CHOP, once again using the scraper to move all ingredients together so a uniform consistency is created. Remove from blender and store in sterilized glass jar in the fridge for up to 3 weeks. 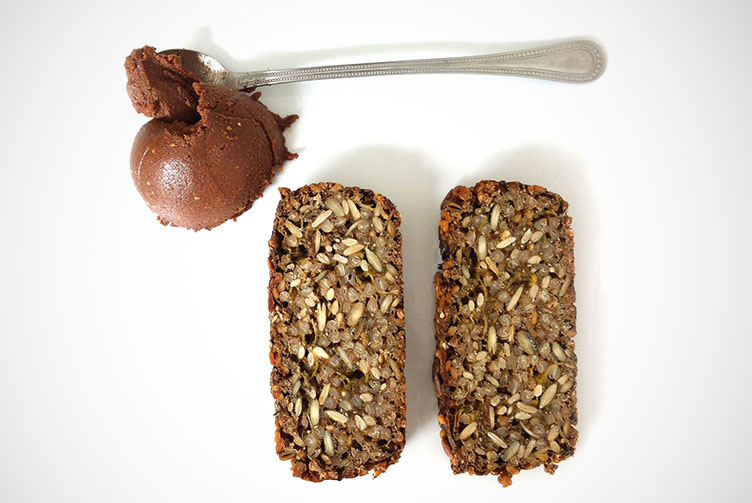 Serve with your favourite sprouted bread or have a spoonful as a little treat to resolve any chocolate cravings.